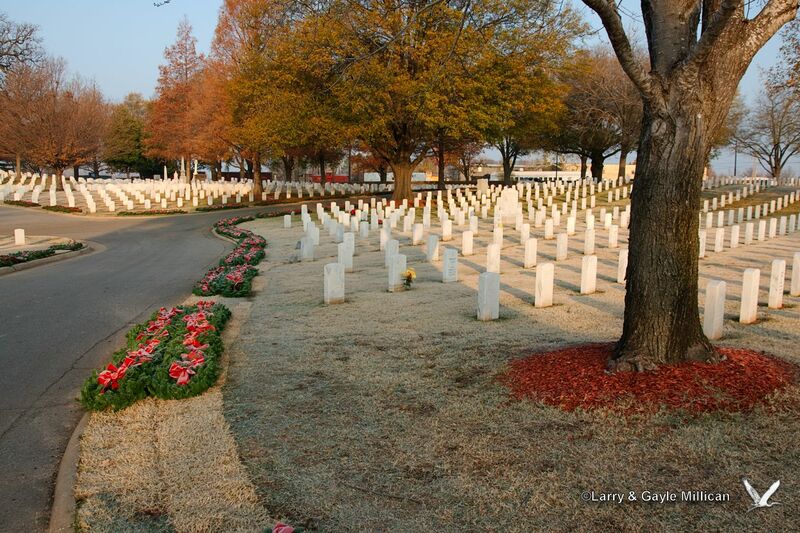 In 2009, the Fort Smith Chamber of Commerce started a program to honor the veterans buried in the Fort Smith National Cemetery. 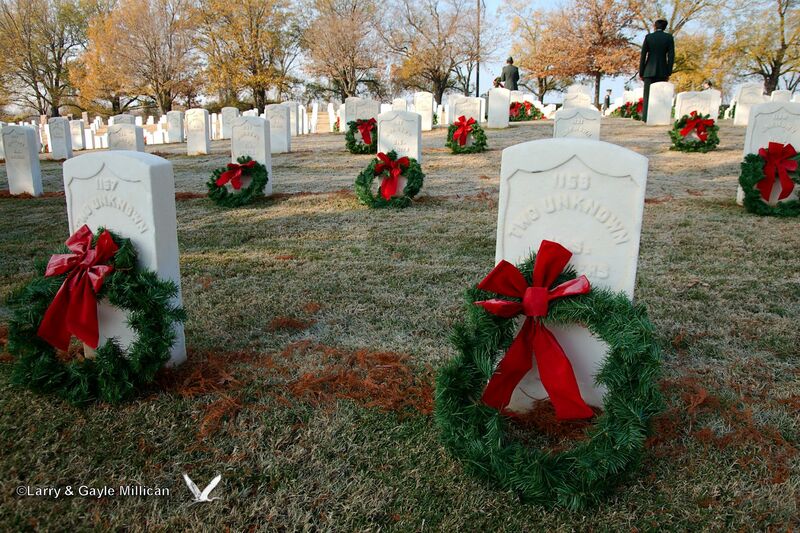 Inspired by Arlington National Cemetery and “Wreaths Across America,” the goal was to lay a Christmas wreath upon each grave in the cemetery. It has been a huge success. 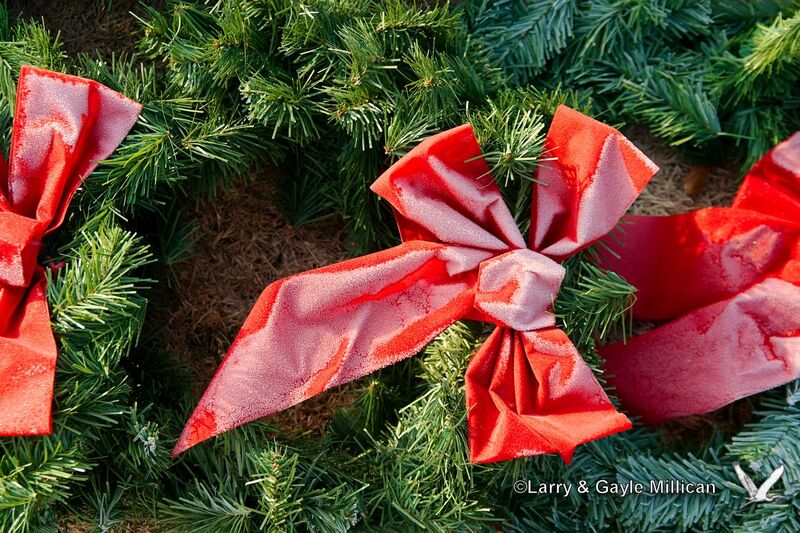 The community has joined together and each year, over 1,000 volunteers have assembled the wreaths in a remarkably short period of time, then the veterans’ families, scout troops, veterans groups, and Jr ROTC units have placed the wreaths on the graves. Most of the photos shown here are from 2011, and one from 2009. After being assembled, the wreaths are placed in groups along the cemetery road, waiting to be placed on the graves. 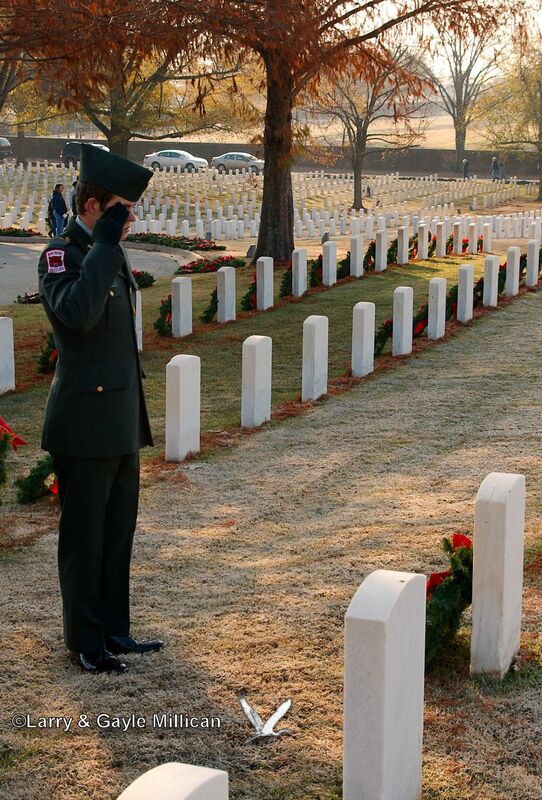 Family members are the first to place the wreaths, and everyone allows them time alone with their departed loved ones. 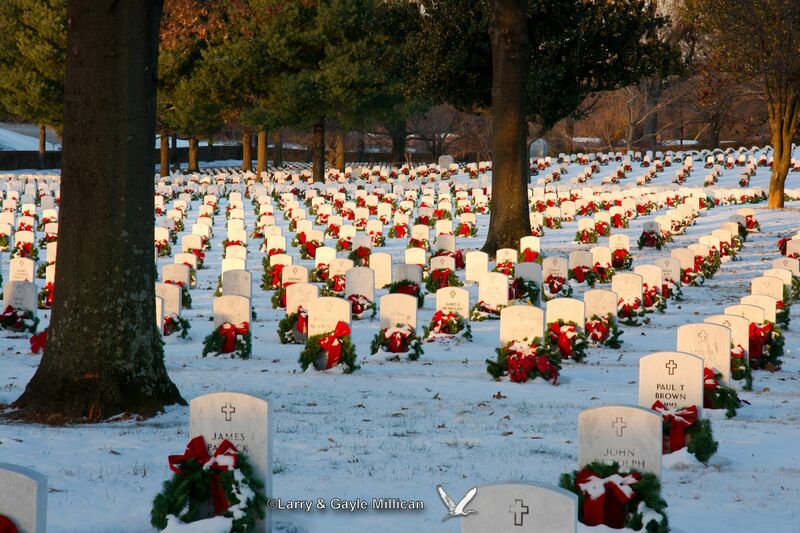 In 2009 – the first year for Christmas Honors – we received a snowfall on Christmas Day.